What happens when a celibate Christian Man befriends a woman involved with a married man? Will he run in the other direction or continue the relationship? Or will he abandon his Christian beliefs for a taste of the forbidden? Or will she learn being with a married man isn’t the fantasy life the generations of women in her family made it appear? Sean Prescott and Kyla James are business associates playing a dangerous game of cat and mouse, hoping the other will give in. But in this high stakes game is there really a winner or will both be losers. The Best Contemporary Male Heroes or MEN. A topic all romance writers should be well versed in talking about. Let’s go in a different direction. How about what makes a great male hero for one of my books? Physically, the male hero in one of my books is usually…tall, dark like milk chocolate or black coffee, very little facial hair, well groomed, impeccably dressed, has an amazing smile, muscular but not like a body builder, large hands and eyes that only see the heroine. Character is what makes a hero. My heroes have to be intelligent, compassionate, strong in mind, loaded with swagger, loving and a real fighter. He has ability to read a situation and provide a solution. He needs to be a good listener and revere the heroine. No matter how strong my heroine is, she’s always looking for someone to rescue her. Her hero can’t let her walk all over him, because she won’t respect or trust him. The Contemporary Heroes aren’t that much different from those of other genres. A true hero can be dropped into any genre or time and still be a hero. Here’s the thing about Contemporary Heroes, eventually, with time, they’ll become Historical Heroes. Tracy will be awarding a $10 Amazon or B/N GC to a randomly drawn winner via rafflecopter during the tour. Good Morning ALL! :) It's a gloomy day in DC, but It's an awesome day on the interweb because i've got Tracy here! I am having an amazing day here on the gloomy West Coast. Thank you for hosting me and my book GENERATIONAL CURSE. I enjoyed doing this post and talking about strong men. Heroes come in all shapes and sizes and that's great, because it means anyone can be a hero. Thanks for posting one of my favorite scenes from the book. It's a very pivotal turning point in the story. Hey Tracy :) I liked this scene a lot as well. I felt like I would be similarly doubtful if my marriage counselor wasn't married. I felt for both of them though. Which character has been your favorite to write? Thanks for stopping by Unabridged Andra today. What authors inspire me? What a great question. I read a variety of genres. So far this year, I've been inspired by Julia Kent, Melody Anne, Kitty Bucholtz, Michelle Sutton, DeAnna Cameron, Deborah Bladon, Elizabeth Lennox and Leslie North. I'm also inspired by the author of whatever book I'm reading at the present. I like your list of contemporary heroes.  Thank you for stopping by Unabridged Andra and commenting. I could have kept going with my hero list. Smile. These are my top choices. Exceptional post! I adore the amazing cover~thank you for sharing! 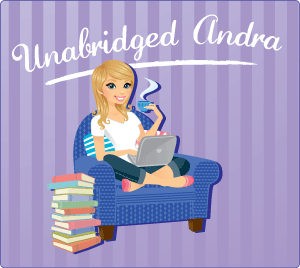 Thanks for stopping by Unabridged Andra. I'm glad you like the cover. I really had fun creating it. Thank you for letting me spend the day with you and your readers. Let's do it again. What a great name. Thank you for following the tour. I'm having a great time meeting everyone. Thank you for stopping by the tour. I'm so glad you like the book. I'm working on a followup. Thank you for the complement. Wow. I didn't see that one ... er ... that was a surprise to me! LOL. Love this cover. So elegant. What an intriguing excerpt.